When asked to add name labels to my daughter's clothes in preparation for preschool, I imagined a smudged black marker name written sloppily across the back neck. There must be a way to do it better! Then I came up with the idea of combining iron-0n graphics along with an iron-on self-adhesive. I designed the following 2 versions and was quite happy with the results. I started with a simple design I created in Illustrator. The overall size came out to be approx. 1.5" inches around. Don't forget to REVERSE THE GRAPHICS before you print them out on fabric transfer paper. I ironed the graphics onto a piece of smooth, soft 100% cotton fabric. Next I ironed a sheet of self-adhesive backing. Cut out the labels in any shape you wish. 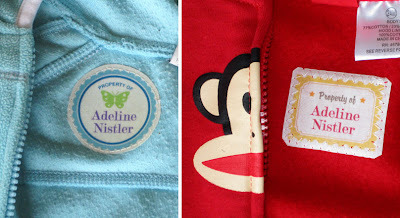 Finally, I ironed the labels into my daughter's sweatshirts & jackets. I would recommend using a zig-zag or straight stitch to secure the edges. We all know these garments will be washed often. 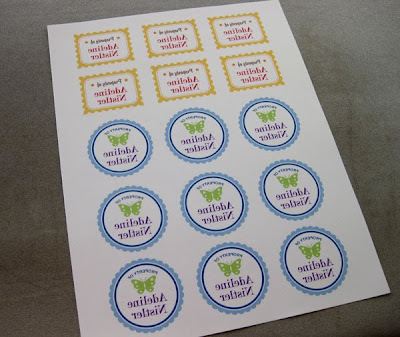 For more ideas on garment labels, try this simple project - Back-to-Cool Labels - Part II. 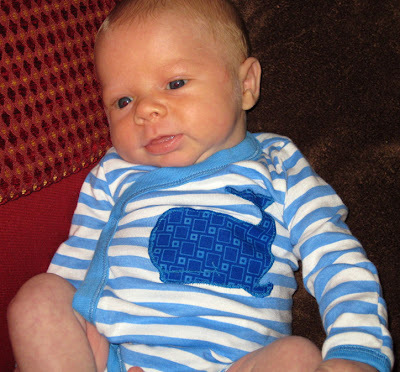 My son Cooper having a "whale of a time" in his embellished onesie. Between feedings and naps, I like to find quick and easy crafts for baby. 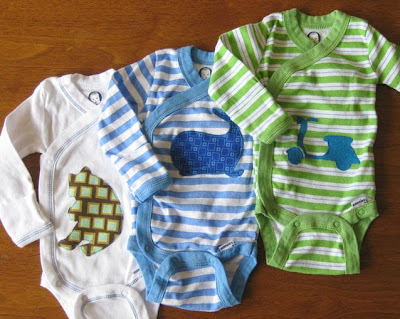 I found this great article on Cookie Magazine's site called DIY Iron-On Onsies. The idea is so simple and it really jazzes up a plain onesie or tee. Great use of leftover fabric scraps too! 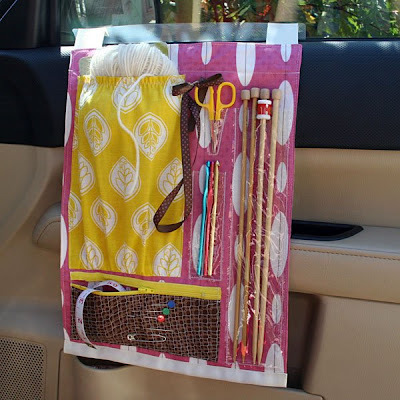 Check out my most recent Car Craft Caddy project on Craft Magazine's blog. This step-by-step sewing project will help you organize your projects while you're on the go! It's easy, fun and totally customizable for your creative needs. 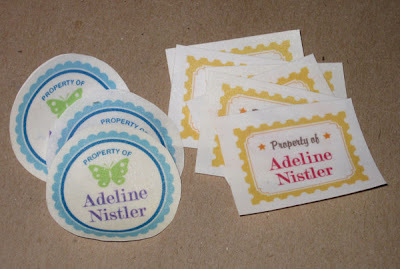 Read my tips on adjusting the pattern for kid's crafts or airplane travel.